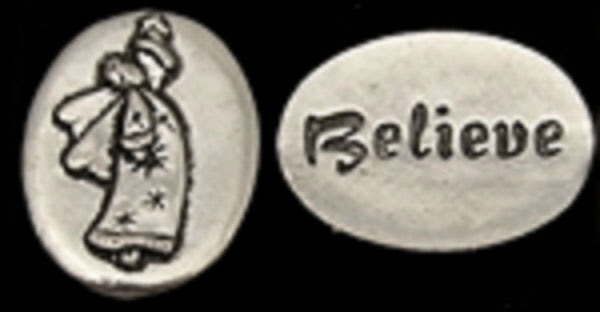 Angel pewter inspiration coin has the word "believe" written on the back. Coin measures approx. 3/4" x 1/2".